I have no idea where the idea originated of the dissolute artist, but I took it as fact from an early age. This seems particularly strange since I grew up under the same roof with an artist. My mother was anything but dissolute. Even so, the requirement of drinking life to its limits and then dying seemed like a given if you were going to make great art. Why drinking life to its limits required concentrating on drinking alcohol I do not know. Nor can I explain why the limits of life required self-harm as well as making life difficult for friends and family. 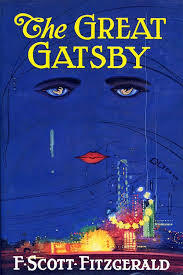 Like everyone else, I read The Great Gatsby in high school and absorbed a handful of details about Fitzgerald’s life. Naturally, those details reinforced my assumptions about great artists. On the plus side, I recognized the book as great art. Up to that point, it seemed like every reading assignment was meant to improve us as people. From Charles Dickens through John Knowles, every story smelled of self-improvement. That was immensely unfair, but teenagers do end up on the receiving end of a lot of socializing efforts. Gatsby was different. I probably missed the elevating message at the time, but that’s all right. For the first time, I sank in the prose and let it wash over me. made it clear that he felt the book was a long meditation on being a jerk. I disagreed though I did not mention it at the time. I thought it was about making art out of a bad spell. From where I was sitting, life looked like it was going to present a bad spell for a while and I had better learn some coping mechanisms. In retrospect, my teacher was rather right, but I’m glad I got more out of the book at the time. Conforming to my expectations, the book was the work of an alcoholic who lived a madcap life. Of course, that’s all nonsense. Shortly after graduating college, I rented a house in Boston with some current college students. One of them had plans to be the great writer of his generation. (Didn’t we all?) He decided that he hadn’t suffered enough and took up smoking. The housemate tried drinking repeatedly, but felt that he was just not getting the hang of it. He confided one night to me that he just knew that if he could develop a couple more bad habits, then he would really be able to crank out the prose. I suggested that maybe all those writers that he admired might have written so well despite their drinking. Imagine what they could have done if they had been sober a bit more. That’s not so profound, but having to say it to someone else at that point started me down the road of believing it. I’ve added a lot more gray area to the judgement. Everyone travels their own path with rough patches. Whether or not those challenges are self-made, no one else gets to judge how we cope as long as we’re not pushing anyone else into the brambles. You’ve Got to Check This Out is a blog series about music, words, and all sorts of artistic matters. It started with an explanation. 172 more to go.